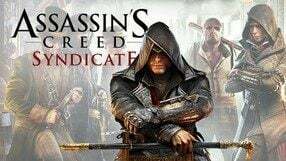 It is the ninth major installment in a best-selling action game series, this time developed by Ubisoft Quebec. 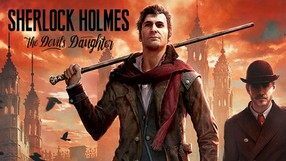 After a brief affair with the French Revolution the developers decided to take players to 19th-century London of the Victorian era, giving them control of two characters: hot-headed young man named Jacob and his twin sister Evie. Although the game retains all of its key elements, gameplay mechanics went through some changes. The streets are full of carriages, which, just as in Grand Theft Auto series, can be hijacked and used to move around the city. Another essential element stems from the fact of leading Jacob’s gang, and which, among other things, results in street brawls with opposing groups. The game faithfully recreates the topography of the capital city of England, so you can easily find and recognize such landmarks as Westminster Palace or St. Paul’s Cathedral. The heroes also gained new weapons and gadgets as well as previously unseen abilities. 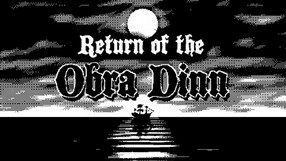 Return of the Obra Dinn is an FPP adventure game by Lucas Pope, in which you play as an investigator working for the East India Company in the 19th century and your task is to discover the truth behind the disappearance of the entire crew of a trading ship. The online mode of Red Dead Redemption 2, made available by Rockstar Games as a free expansion. 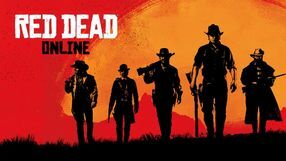 Red Dead Online uses the world and the content developed for the second Red Dead Redemption, enhancing it with the addition of online elements. 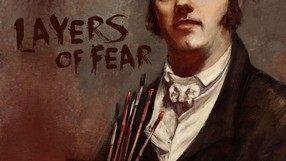 A first person psychological horror adventure game inspired of 19th-century paintings and architecture. It was created by Polish developer Bloober Team, known for such titles as BRAWL, A-Men and Music Master: Chopin. The game is set in an ominous manor, while you assume the role of an insane painter striving to finish his masterpiece at all cost. Gameplay boils down to exploration, as the player searches for the source of the hero’s madness and the tools needed to complete the painting. While playing, you experience strange visions and fears born in the protagonist’s mind, making the task much more complicated. The game is soaked with dark, psychedelic atmosphere, which is further deepened by fitting audiovisuals. A first-person shooter set in the Wild West. 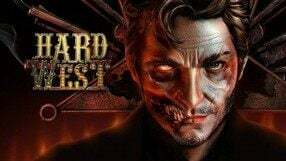 Developed by the Polish developer, Techland, it is the fourth entry in the Call of Juarez series. We play as a bounty hunter, Silas Greaves, who recalls his adventures in the Wild West. The game’s campaign is divided into missions, during which the player has to bring down many legendary outlaws and gunmen (Billy Kid, Pat Garret, Jesse James, and others). 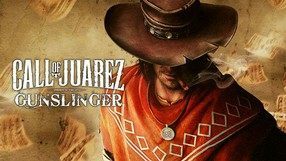 Unlike previous games, Call of Juarez: Gunslinger introduces a more arcade style of gameplay. Three-dimensional graphics use the cel-shading technology, resulting in a comic book-like visuals. 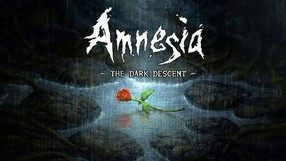 A dark action adventure game designed as survival horror, developed by the team at Frictional Games studio – creators of the enthusiastically received Penumbra series. In the game we play the part of a man who voluntarily lost his memory. He wanders through the corridors of a huge castle not remembering exactly what happened, but he is certain that his life is in great danger. By exploring the chateau and solving subsequent puzzles our protagonist reveals consecutive terrible facts of his own past, finding answers to a number of questions bothering him. The authors offered unusual game mechanics, resigning entirely from fighting skills. In return, during the game we have to take care of the protagonist’s mental health, avoiding darkness and escaping from various terrifying creatures. Our main weapons are matches, oil lamps and other sources of light. The [roduction features dark atmosphere, reminiscent of works of H. P. Lovecraft. A third-person perspective (TPP) action game in a steampunk setting, developed by Ready At Dawn studios. 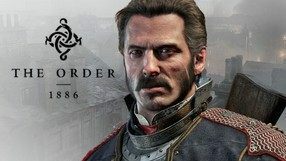 The main campaign storyline of The Order: 1886 takes the player to an alternate version of the Victorian era, in which a war is raging against a species of mutated humans. The player assumes the role of Sir Galahad, a knight of the Order that has fought the beasts for centuries. The action takes place mostly in London, where many authentic places and pieces of architecture can be found. The game offers numerous dynamic shootouts, featuring a wide array of fantastic weapons (including things like Arc Gun, Combo Gun, and Thermite Rifle). The Order: 1886 is distinctive for its high-quality visuals, generated by the Ready at Dawn Engine 4.0. The second installment in the series of FPS games developed by Polish studio, Techland. This game is actually a prequel to the original title. We play the part of two brothers: Thomas and Ray McCalls, of whom the latter is known from the first game. Much like in the original Call of Juarez, the two characters play very differently – they have individual skills and equipment. While Ray uses two guns simultaneously and is a walking storm of bullets, Thomas is a sharpshooter who prefers bigger caliber and a longer barrel – he can also use a lasso that gets him to places unreachable to his brother. Apart from story campaign, where we can choose which brother to play in each mission, Call of Juarez: Bound in Blood also includes a coop mode, and a competition-based multiplayer. The game runs on Chrome Engine 4, which ensures high visual fidelity. Another installment in the popular series of adventure games developed by Frogwares. A few years age the series became available for console players as well. 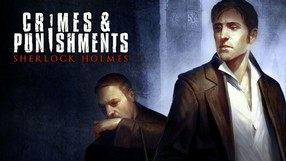 Once again, the player takes on the role of the most famous detective of all times, Sherlock Holmes, and together they will solve various criminal riddles. The story takes place in the Victorian London well known from previous installments of the series. The protagonist will have six different cases to solve, including murders, kidnappings, and robberies. The gameplay mechanics were slightly changed in comparison to previous installments. Now, the player is frequently required to make tough moral choices that impact both the gameplay and the endings of the game. For the first time in the series, the game uses the advanced Unreal Engine 3 thanks to which it looks much better. Victoria II is a sequel to Victoria: Empire Under the Sun strategy game published in 2003. Players have the opportunity to lead one of the more than 200 countries and manage its fate over a hundred years (1835-1939). 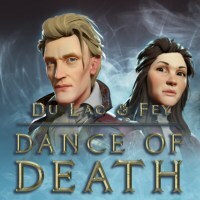 Developers from Paradox Interactive studio took care of compliance with historical facts and extensive options for managing the economy, army and politics. Call of Juarez is an FPS by the Polish developer Techland. 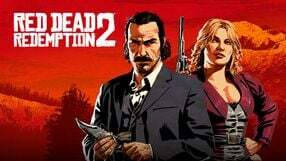 The game is set in the Old West, and quite unusually, there are two playable protagonists. The first is Billy, a young fellow who is falsely accused of murdering his father; the other one is Ray, a preacher, although his past is questionable and shady. Each of the two characters uses individual set of skills and equipment – Ray is the master of firearms and duels at high noon; Billy, on the other hand, is more agile and prefers sneaking past unaware enemies – he is also very adept at using his line, which allows him to climb seemingly unreachable places. The “business-end” of Call of Juarez is the story campaign, which consists of a number of diversified missions. The game is powered by Chrome Engine, which allowed the devs to create very good graphics. The original soundtrack reinforces the atmosphere. 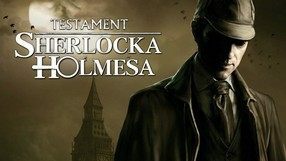 A nineteenth-century London adventure game in which supernatural elements intertwine with a criminal motif inspired by a true story. The title boasts an intriguing atmosphere and high quality voice acting. Developers from the Salix Games studio are responsible for creating the game. 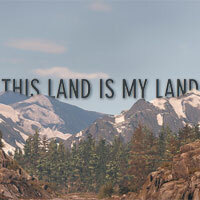 This Land is My Land is an action stealth game developed by Game-Labs. The title takes you to the Wild West, and puts you in the shoes of an native American warrior, who is struggling to protect the land of his ancestors from an invasion of the European colonizers. In the game you observe the action from behind the hero’s back as you roam across its open world. Each mission can be completed in multiple different ways, but most of them require guile and stealth. That’s because the opponents are much more numerous and better equipped than the player, hence, direct confrontations usually end with the hero’s untimely death. At the same time, the gameplay is very dynamic. The player’s successes and failures have impact on how cities develop and how the colonization proceeds. Besides, many of the game’s elements, such as camp locations or guards’ patrol routes, are set randomly, which makes each challenge unpredictable. A standalone expansion for Total War: SHOGUN 2 strategy game and a part of the Total War series by Creative Assembly. The add-on offers a new campaign set in the Empire of Japan in times of the civil war between the Emperor’s supporters and the last shogunate. The player can side with either faction, each of which is represented by six families. At the same time, it is a conflict between the traditional Japanese samurai culture and the modern firearms-based army. Technological advancement of our faction and the available units are largely dependent on our relations with overseas superpowers. 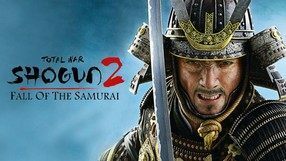 Total War: SHOGUN 2 - Fall Of The Samurai offers an expanded campaign map, railway transportation, additional units and agents, and a new kind of battle: port siege. The introduction of firearms, especially the Gatling gun, is also a great innovation. Apart from the aforementioned campaign, the expansion comes with 4 historical battles and an updated multiplayer mode. An open-world action game developed by Neversoft Entertainment, the studio known from the Tony Hawk’s Pro Skater series. Gun takes us to the American Frontier in XIX century and sees us assume control of Colton White – a young cowboy searching for his real family, following the tragic death of his foster father. The game offers an extensive world consisting of vast wastelands, as well as small towns and Indian settlements. Our hero can explore the world both on foot and by riding horses, while the plot is conveyed through cinematic cut-scenes accompanying the story missions. During his journey, Colton encounters a wide range of NPCs, including the virtual versions of Wyatt Earp or Billy the Kid. 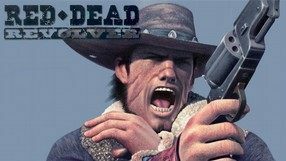 When it comes to combat, the player takes part in spectacular shootouts using an extensive and fun-oriented arsenal, including revolvers, rifles, or even the Gatling Gun. The game is characteristic for its detailed, three-dimensional visuals. 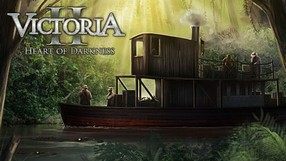 Heart of Darkness is a Paradox Interactive add-on to Victoria II. Expansion in a realistic way reconstructs the race of 19th century powers to gain a dominant position in Africa. 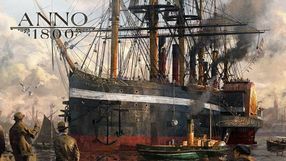 For this purpose, numerous changes were introduced to the gameplay mechanisms and colonization and sea battles systems were modified. A tactical war game developed by Game-Labs. 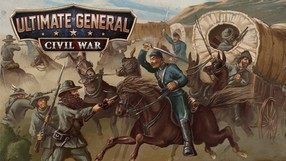 Ultimate General: Civil War is set during the titular American Civil War, and the player can take part in more than 50 historical battles - the list features both small skirmishes and battles that lasted for days - those require hundreds of square kilometers of virtual space. The player has full control of their armies and subsequent victories result in their reputation growing, which allows the player to obtain new kinds of units, as well as divisions and brigades. Soldiers gain experience in combat, which makes them gradually more effective in battle. What is characteristic about this game, is its high level of realism - different weapons in the game represent their real-life equivalents from the period. Furthermore, analyzing the topography of terrain accurately and making use of advanced combat tactics is the key to success. Apart from the single player campaign, the game offers a special mode, which allows the player to play a particular battle. It is also worth noticing, that Ultimate General: Civil War comes with a set of options allowing the player to adjust the level of the game's complexity to one's individual preferences. A third-person perspective action game developed by Rockstar Games, a company known for Grand Theft Auto and Midnight Club series. The game features a Western setting, starting during the final years of 19th century and the player assumes the role of Red, a man filled with lust for revenge. During his early years he witnessed the death of his parents at the hands of Mexican bandits that wanted to claim possession of a gold mine located on Red’s parent’s land. After many years he returns to his homeland and his main objective is to kill as many thugs as possible. The game, considered to be a Wild West version of Grand Theft Auto, is mostly about completing story missions and dueling based on the best movie westerns. The developers provided the characteristic style of the Wild West and recreated locations, buildings and characters that are typical of the genre. The players also have access to thirty different weapons, including revolvers, shotguns, rifles and explosives. An interesting strategy game, which allows us to become the head of a company building railway tracks in the nineteenth century - in the so-called golden age of railways. 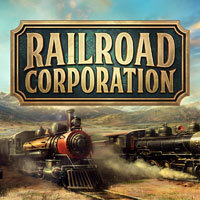 Independent Corbie Games studio is responsible for creating this production.